Brad Keselowski will run this No. 2 Miller Genuine Draft paint scheme at Darlington Raceway later this season. 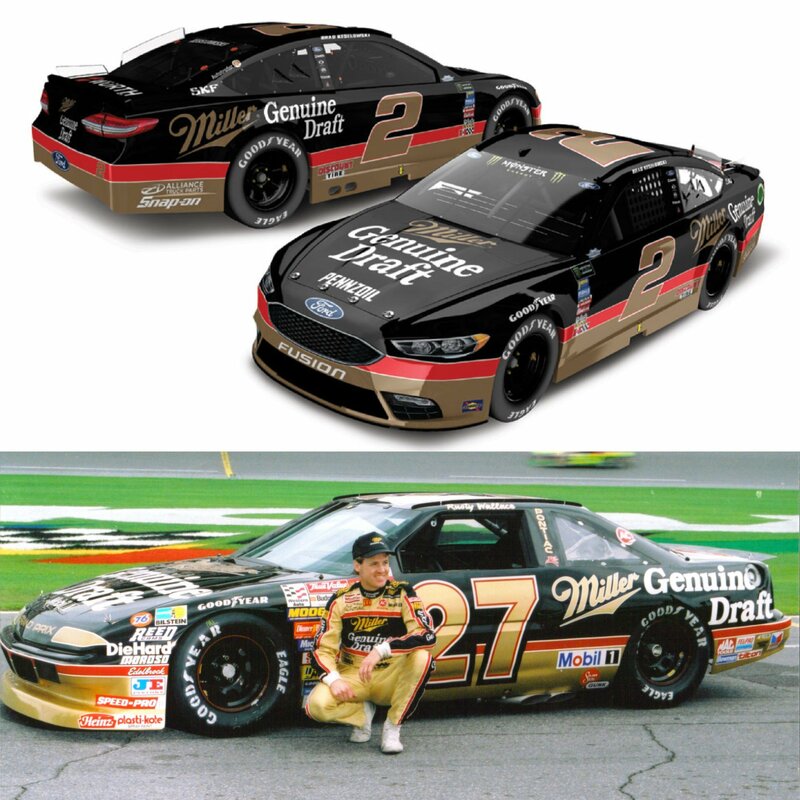 It’s a tribute to the 1990 design driven by Rusty Wallace for car owner Raymond Beadle. 1990 was the final season that Rusty Wallace drove for Blue Max Racing. That year he picked up a win at Charlotte and Sonoma. He finished 6th in the driver standings. In 1991, Rusty Wallace entered his debut season with Team Penske. The 2018 Southern 500 win run on September 2nd, 2018. The track is located in Darlington, South Carolina. The Keselowski die-cast is already available for purchased via the Lionel website.